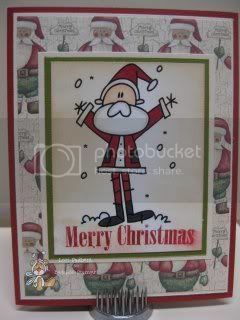 Welcome to another Oldie but Goody day at Bugaboo Stamps. Thanks for stopping by my blog today. I hope you like the image I'm using today, it's called "Santa Snow". Head over to the Catch the Bug Blog to see what the rest of the Bugaboo DT wants to show you today for their OBGs.